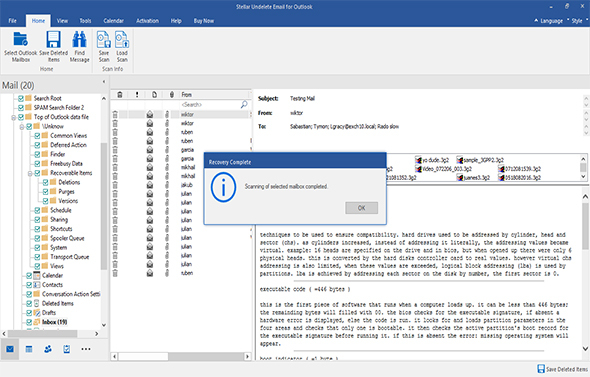 Stellar Undelete Email for Outlook recovers all lost and deleted mails from your MS Outlook accounts. It scans the PST and OST file of MS Outlook and fetches all the deleted emails. Here are some of the most remarkable features of the software. 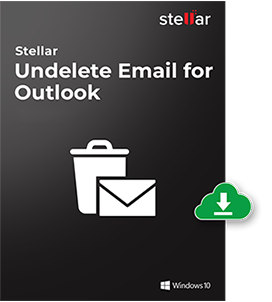 Stellar Undelete Email for Outlook is a perfect tool for all those, who had lost or deleted their vital emails from MS Outlook OST and PST File. Software supports both the data file for email recovery. You can select either the PST or the OST file and scan it to recover the lost mails. The software provides options to select or find the respective email data files from your system. For this, you can make use of the 'Browse' of 'Find' options. If the location of the file is known, use the 'Browse' option and browse through the folders of your PC to choose the file, else go for the 'Find' option. The preview feature of the software helps in analyzing the effectiveness and usefulness of the software. After the selected PST or OST file is scanned, the software shows all the mails and other data as attachments, contacts, calendars, tasks, journals, notes etc. in the preview pane. This is also helpful, if you are trying the free demo version of the tool that will enable you to make a better-informed decision about the software. 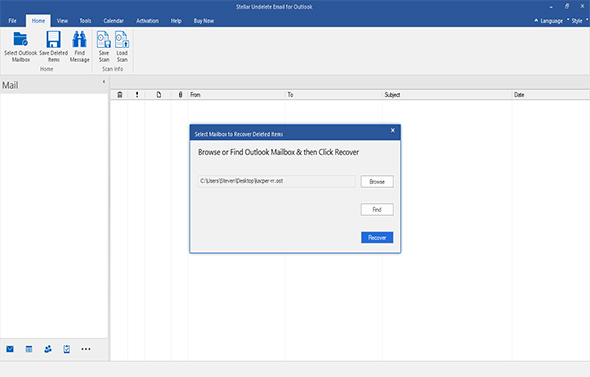 The 'Microsoft Outlook Email recovery' module of the software enables you to recover deleted emails from outlook. The efficient scan engine of the software runs the best recovery algorithm to get all the mails keeping the folder hierarchy intact. 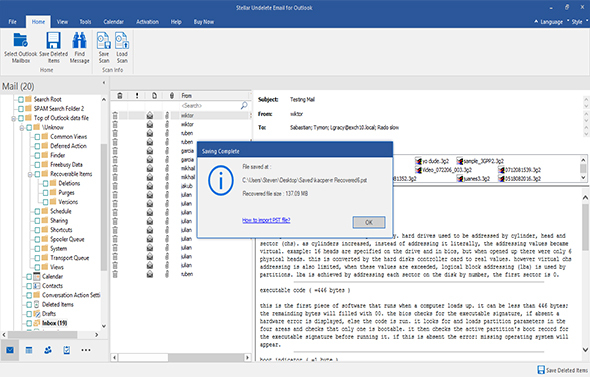 The usefulness of the outlook email recovery tool is best experienced with its ability to recover emails from an encrypted Outlook PST file. The software can recover all the mails even from a password protected PST and OST file. After the mails are scanned, you can see them in the preview window and save the entire mail data file as a new PST file. You can also save individual email files as MSG, EML, RTF, HTML and PDF. The PST file can be imported to any Outlook account to regain access to the emails. Batch saving of mails is a process wherein you can save only selective emails out of the list of numerous emails recovered after scanning. You can choose the specific mails and then save them as the desired format. 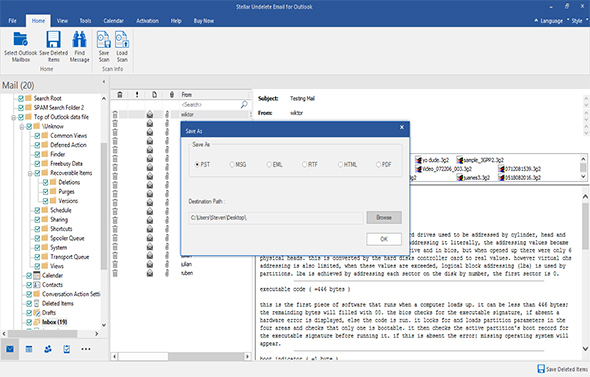 After the selected Outlook data file is scanned, the software lists all the mails and other mail items in the preview window. You can then, save the entire database file as a complete OST file. 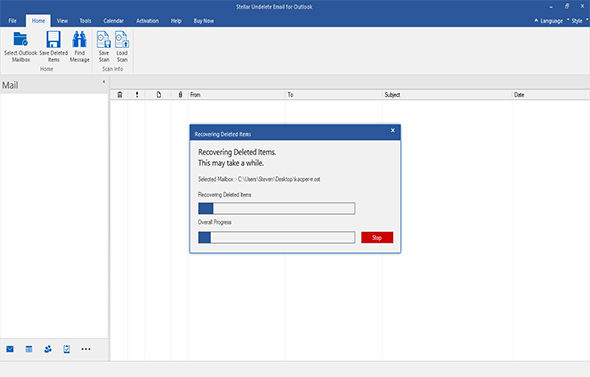 Alternatively, you can recover deleted contacts from Outlook and selected individual mails. Step 1: This is the main user interface of the software. From here you can select and locate the OST and PST File using 'Browse' and 'Find'. Step 2: Select the file and click 'Recover' button to start the recovery process. Step 3: Now, the software is scanning selected file. Step 4: The dialog box shows that the scanning of select mailbox completed. Step 5: In the software preview window, all the recovered items of PST/OST file will be shown in left side tree. You can check every item of the mailbox by selecting the folder. Step 6: Select the folder to save the recovered mails, click on 'Saved Repaired File' button from the File menu. Select PST as saving option and Browse the location where you want to save the recovered file. Click 'OK' to initiate the process. I say thanks for an awesome product. It was quick and effective. This software recovered all deleted emails from my Outlook 2010 email client. Que: Can I search my OST and PST files? Answer: The software uses fast and efficient algorithms to search for OST or PST files in selected folders, subfolders, or volume in the system. With this feature you can locate the exact location of your file.